Make the most of your Frontier Camp Stove and heat up to 3 litres of water effortlessly. This high quality water heater wraps around the flue of the Frontier Stove and is simple to fit and remove. 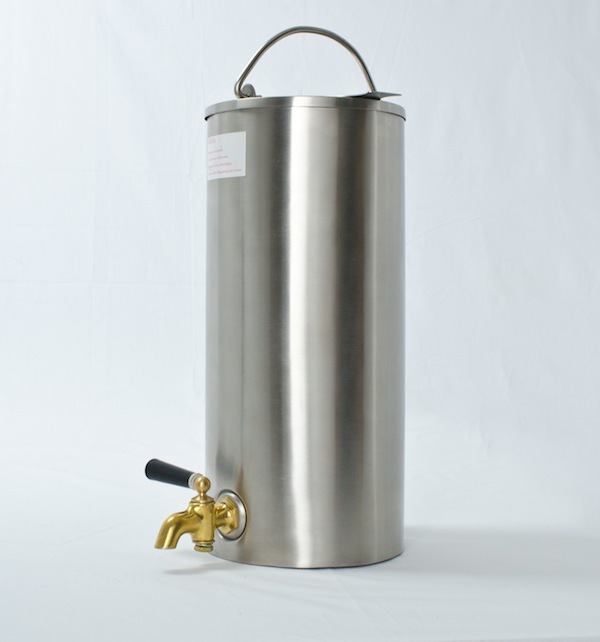 It is made from brushed stainless steel and has a sloid brass tap. We supply the Water Heater with a Quality Carry Bag.